Tonight, we celebrate the hard work of thousands of young people, people of color, and allies who fought for a new vision for Texas, and elected UWDA endorsed candidate, Julie Johnson. “Today, we celebrate that Texans in District 115 rejected racism and attacks on our immigrant community. 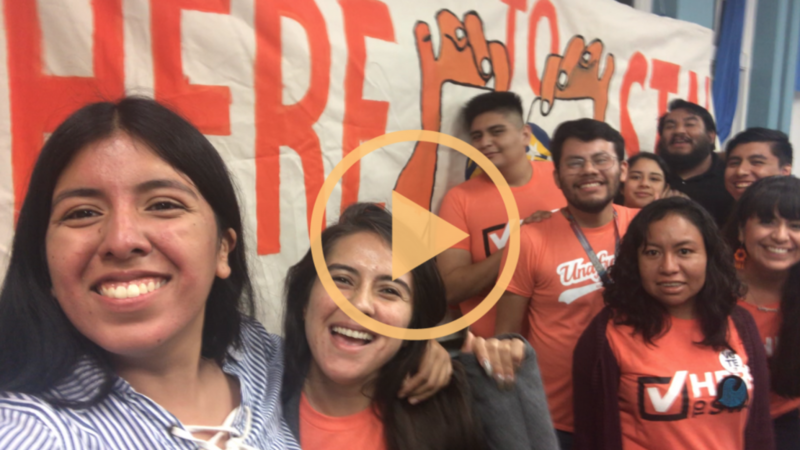 We saw our members — undocumented youth and allies — show up for leadership that shares our values and our vision for a Texas where immigrants and people of color can live without fear of deportation. “We reached out voters who might not have otherwise turned out today. This is the same energy we will bring to the state capitol this legislative session and bring to our hometowns in the fight to stop deportations and the separation of our communities under Texas racial profiling bill SB 4. “Irving residents will work with Julie Johnson to make sure that state legislators know where we stand and that immigrants are Here To Stay. Not only is this a win for House District 115 but it’s a victory for all of those Texans that hold family values as a compass to lead Texas in the right direction and not divide this nation more. There are consequences for racism. Matt Rinaldi is a man who bulldozed Abbott’s racist policies through the Texas legislature, brought danger and harm to immigrant communities, his own constituents, and Texas – and that’s why he lost.